Countries such as America, Australia, Europe and Japan have long developed green building ratings, about 20 years ago and well exposed to it. However, Malaysia had only launched the Green Building Index (GBI) in 2008. It is known as a green rating tool for buildings and towns in Malaysia, with aims of promoting sustainability in the built-environment and raise awareness of environmental issues among everyone for a brighter and greener future. According to New Bob Group Director, Dr. Lee Ville,“Green homes provide occupants the opportunity to live in a healthier and cost saving environment. Its appeal to promote sustainable and friendly built mother earth has never been greater. Not many malaysians are aware that sustainable buildings are rapidly becoming a necessity to counter today’s worsening climate change and high-living cost”. 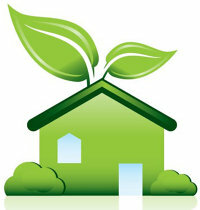 Green home is highly capable of improving the environment and also save occupants’ monthly electricity bill. Based on dawn.com business website, it can conserve up to 60% of electricity to tackle the skyrocketing utility bills issue. Electricity savings can be attained through conversion of sunlight via photovoltaic (PV) panel or solar panel into electricity found on the rooftops of every green home. It could cater over 20% of the home electricity demand. Light-colour painting of roofs and outdoor landscape of green home also keep the house cool, hence reduce consumption of air-conditioner which saves roughly 10% of electricity. Green home also promotes water conservation through the use of low flush toilet tanks and shower heads with flow regulators. This accounts to at least 40% of potable water conservation. Additionally, green home emphasizes on indoor environmental quality as people normally spend 90% indoor. Thus, cross ventilation is an essential element in every green home to allow airflow throughout the house, keeping home fresh and breezy. New Bob Group, a renowned real estate company in Penang is one of the leading green developers in Malaysia which has embarked on building eco-friendly green homes. It provides everyone an opportunity to own green home ranging from its affordably priced condominium project in Permatang Pauh, Penang( priced from RM300,000 onwards) to lavish three-storey bungalows called The Manor and Preston Oaks in Penang Island (priced from RM5 million onwards). Dr. Lee Ville of New Bob Group added, “I always believe in green home and often cultivate clients to owning green homes to foster a healthy mother earth for a greener future generation. Not only does it save money over time, but most importantly it reduces the environmental impact of the building. Therefore, I strongly encourage everyone to start investing in green home for a better future”.